radio equipment and other accessories. 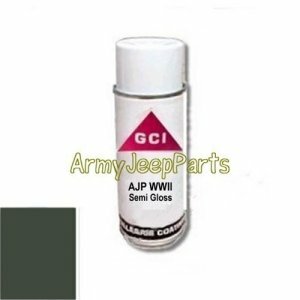 AJP-WWII Semi Gloss Olive drab. This color was used from 1944 to 1957 when 24087 came into use. This color was also used on radio equipment and other Army items. DISCOUNT NOTE: 12 or more cans get discounted to the CASE price which is done automatically in the cart.